SpellForce 3 - The perfect blend between RTS and RPG!SpellForce 3 goes back to the roots of the SpellForce saga and combines the RTS and RPG genre in a unique way - all in real time!Explore the world of Eo and become a true legend. While both the RPG and RTS elements presented here stay true to form, the overall game is more than the sum of its parts because of how it makes such disparate concepts serve the goal of creating a militaristic role-playing epic. Incorporating base- and army-building into a traditional role-playing formula adds a scope and weight that would not be present if the game never went beyond three or four guys swinging swords and slinging spells. 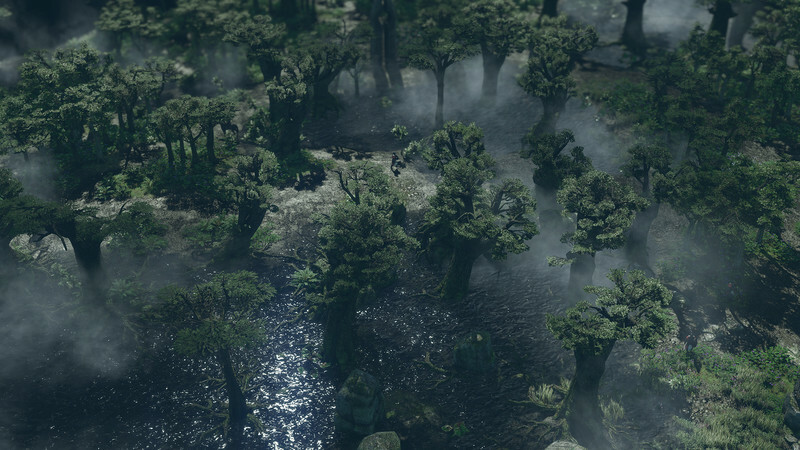 All this makes SpellForce 3 is one of the finest hybrids of RPGs and real-time strategy games out there, but it achieves that distinction mainly by being one of the few. Neither of its two halves hold up particularly well compared to purer iosmetric RPGs or RTS games, but together they deliver a enjoyable experience that manages to feel unique even with its constant callbacks. While Spellforce 3 is an uneven experience, it hits all the right notes. The storyline is great, the visuals are stunning, and the basic gameplay is good enough to keep your attention. Overall, if you are an RTS fan desperately looking for a new fantasy-based experience, you should feel right at home here. If you are not a desperate fantasy RTS fan but you are still interested, then at least keep this on your radar. 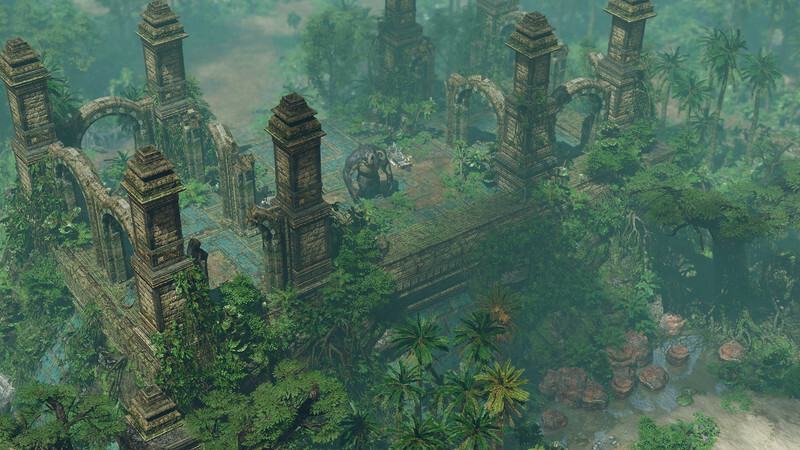 RTS-RPG hybrid SpellForce 3 tries hard, but some key issues can make it hard to love or even like. In the short term, if you're willing to think of the prefab fantasy setting as comfortingly familiar, Spellforce 3 is a pretty fun. The voice acting is terrific, and the plot easy to understand without requiring weeks of learning why THESE giant wolves are different to other games' giant wolves. Whether this familiarity is a brave counterpoint to the endless setting creep of gaming is really a matter of personal taste. 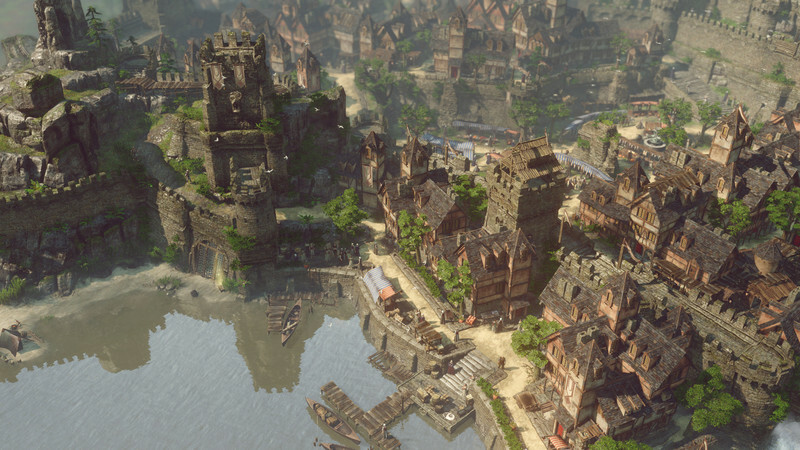 SpellForce 3 has delivered on the potential it showed while still in development. Enjoying the layered gameplay and story requires a decent time commitment, but for an experience of this type and scope, diving right into it proves surprisingly easy. It might not be the deepest individual RTS or RPG experience ever created, but it’s no slouch in either department and the successful merger of the two game styles creates a rather unique experience. Altogether, 15 hours in SpellForce 3 left me with mixed feelings. The game is far above the average, but with little things like control issues, bugs and AI behavior met frequently enough to sour the impression. 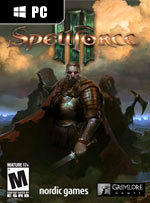 SpellForce 3 is a unique mix of strategy and RPG mechanics that miraculously loses very few of either. 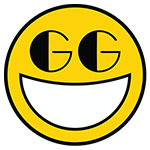 It asks no knowledge of the previous titles, and features co-op and PvP multiplayer modes in addition to the rather long single-player campaign. Ironically, in an age of MOBAs and strategy-less strategy games, this years-old staple of game design feels surprisingly refreshing. 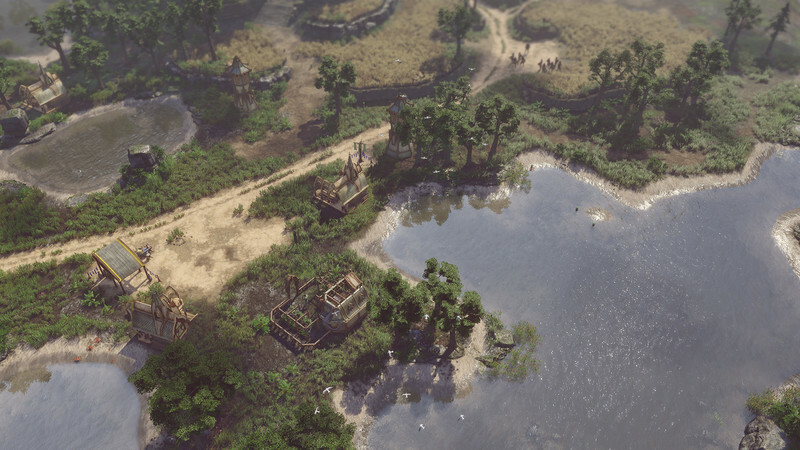 Spellforce 3 is an ambitious game that manages to blend fun RTS segments with traditional isometric dungeon exploration in a neat RPG package. Its commitment to blending two genres, on top of a somewhat predictable story, can leave Spellforce 3 feeling a little shallow and simple at times, but it’s never enough to sully the experience. 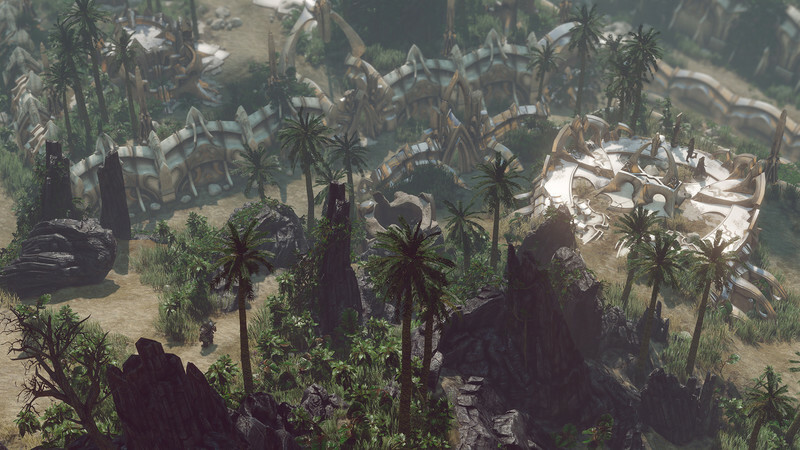 Looking at single aspects, SpellForce 3 is successful on all fronts, but this does not tell the whole story as on some level the game fails to come together cohesively. Building up RPG characters works largely well, but the RTS strategy sections leave a lot to be desired and the heroes simply melt into the background too much to be in any way meaningful. There is nothing 'wrong' with the game; it is just never an awesome experience. Spellforce 3 sigue en la linea de mezclar la estrategia con los juegos de rol propia de la franquicia. Esta tercera entrega numérica nos presenta una intensa historia que habría encajado a la perfección como un juego de rol alejado del componente RTS. Sin embargo, la propuesta del nuevo estudio logra mantener un precario equilibrio durante buena parte del tiempo y lo convierte en un interesante juego para los amantes tanto de los juegos de rol como de estrategia. A pesar de todo, nos encontramos con una buena entrega que promete volver a dar brillo a una saga que parecĂ­a perdida y que puede mantenernos atrapados durante un buen puĂąado de horas, sobre todo si decidimos compartir partida con un amigo en su modo cooperativo. Además de la campaña principal, Spellforce 3 incluye la posibilidad de jugar escaramuzas tanto offline como online así como una campaña cooperativa. Tecnicamente funcionan bien pero ya es difícil encontrar partida en ambas luego solo aconsejaríamos tenerlos en cuenta en nuestra compra si tenemos un amigo con el que jugar. Abrazando el rol y la estrategia al mismo tiempo, SpellForce 3 se gana su propio espacio en el mercado en un título con una jugabilidad robusta y una campaña interesante. Cuando se separan, cosa que ocurre a menudo en este último modo, el juego se las apaña como puede para no dejar en evidencia una mecánica de rol típica y perezosa. 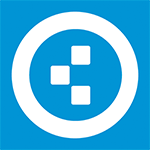 Dass die Entwickler fleißig patchen, ist lobenswert - dass die zahlenden Vollpreis-Kunden als Tester herhalten, sich mühsam von einem Plotstopper zum nächsten vorarbeiten müssen und bei jeder neuen Hürde auf den nächsten Patch warten müssen, ist das genaue Gegenteil. Ein paar Wochen mehr Feintuning, und ich hätte SpellForce 3 als echten Liebhabertitel für traditionsbewusste Strategen und Rollenspieler feiern können. Und vielleicht wird es das ja auch noch. Ich würde es mir wünschen. Da beide Mechaniken in der Kampagne gleichermaßen viel Raum einnehmen, hinterlässt das Debüt von Grimlore Games nur einen befriedigenden Eindruck – und hätte angesichts von acht Patches in vier Tagen seit Release vermutlich erst im Januar 2018 erscheinen sollen. Vouloir limiter SpellForce 3 à l'un des deux genres qu'il mélange serait réducteur. Même s'il n'arrive pas à maîtriser les subtilités d'un STR et si son côté RPG est aussi convenu que générique, l'ensemble reste efficace, complet et accrocheur. Immersive et dense, la campagne remplit parfaitement son rôle, tandis que le multijoueur offre le nécessaire pour s'y consacrer quelque temps. Agréable et bien foutu, SpellForce 3 l’est assurément. S’il ne va pas au fond des choses ni sur la dimension jeu de rôles, ni sur l’aspect jeu de stratégie, il mêle les deux de bien belle manière, sans sonner creux sur le résultat. L’ambiance et les enjeux narratifs, assurément convenus, marchent toutefois plutôt bien et l’on se plaît à suivre les aventures du protagoniste dans sa quête pour sauver Eo et ses populations. Ora, ci sono anche diversi bachi, alcuni piuttosto pesanti, legati forse alla versione di prova. Non dubito, però, che verranno risolti dal solito fuoco di fila di patch: la struttura di fondo, invece, rimarrà in ogni caso priva di elementi memorabili. Se cercate proprio un action-RPG con una forte componente RTS, niente di più facile che vi divertiate con SpellForce 3: questa bizzarria meccanica resta, però, l'unica vera peculiarità. Fortunatamente la serie SpellForce è tornata sulla scena videoludica con un ottimo titolo, che speriamo possa garantirle un futuro più stabile. Insomma, gli appassionati non dovrebbero lasciarsi sfuggire SpellForce 3, così come tutti quelli alla ricerca di un mix non certo originale, ma sicuramente poco frequentato di questi tempi, tra gioco di ruolo e strategia in tempo reale. Короче говоря, это игра не для всех. Кому-то не понравится отсутствие баланса между ключевыми элементами, кого-то взбесят интерфейс и управление, а кто-то скажет, что на экранах загрузки не хватает полуголых эльфиек. SpellForce 3 to niezła gra, ciekawie rozwijająca koncepcję serii, przekonująca udaną hybrydową mechaniką i urzekająca niezwykłym wizualnym artyzmem. Choć do ideału nieco jej brakuje, przynosi nadzieję tym graczom, którzy lubią pełnowartościowe pozycje w „starym stylu”, a wszechobecne „uprzeglądarkowienie” strategii i rozprzestrzenianie się zarazy mikrotransakcji postraszyło ich widmem braku sensownych nowych produkcji. Spellforce 3 to gra, która na pewno spodoba się fanom poprzednich odsłon serii, ale powinna przekonać do siebie także innych graczy zainteresowanych gatunkiem RPG (oraz RTS!). Trzeba tylko uzbroić się w nieco cierpliwości, bo gra nadal zawiera sporo błędów. Są one na bieżąco naprawiane i codziennie znajdować będziemy ich coraz mniej, ale doszlifowanie tej produkcji na pewno zajmie jeszcze trochę czasu. Mimo tego i tak jest to gra warta zagrania!